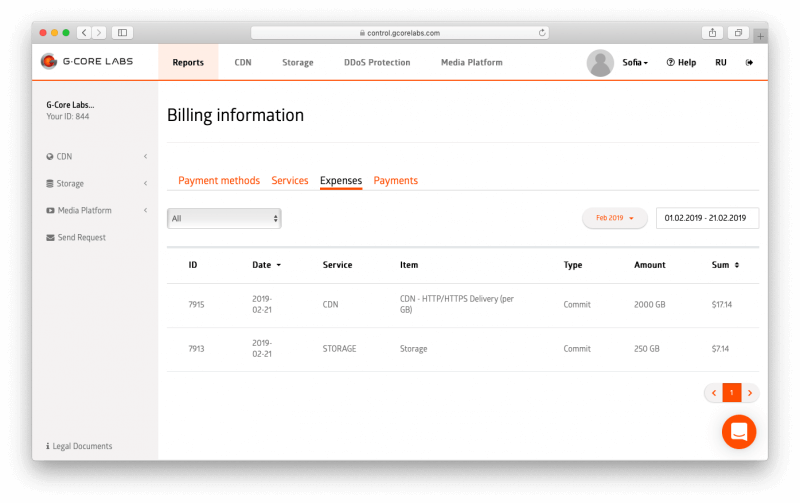 In response to numerous requests from customers, we have improved the Billing information section of the control panel. 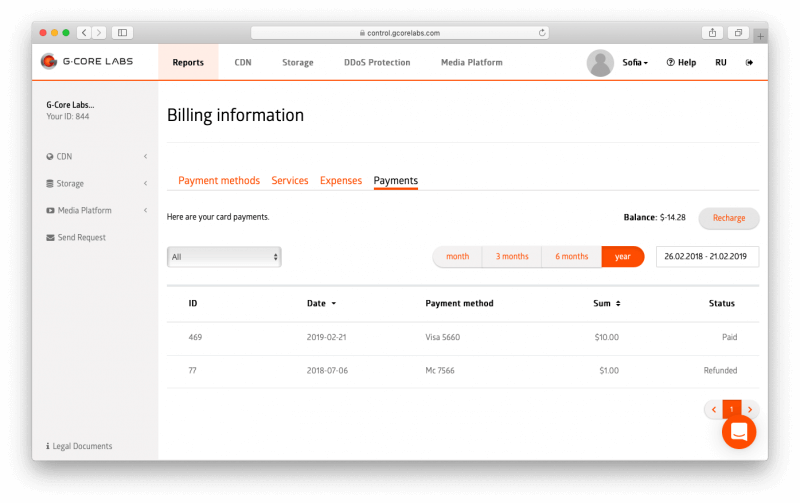 Everything you need to plan and analyze budget for services is now on separate tabs. Expense information is available for all services. It can be filtered by specific services, periods and date range. In the payment history you can review all the attempts to charge your card. Top up your balance in advance, do not wait for automatic withdrawal in order to be sure that at the beginning of the month you will have the required amount in your account and the service will be available to your customers. 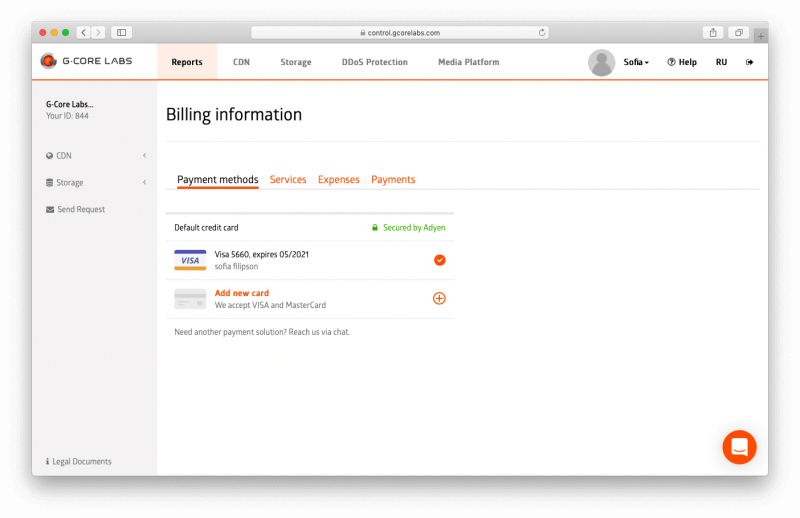 We continue to work on adding new payment methods. Stay tuned for the updates regarding the control panel.